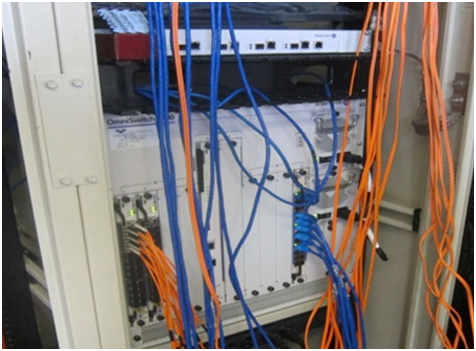 • Upgrade fiber backbone to accommodate the WLAN and LAN Refresh Program. • Provide WLAN modernization, including wireless access points (WAPS) locations, mounting details, and cable pathway. • Perform LAN Refresh process by replacing the existing CAT5e LAN drops with CAT6A cabling. • Performing site surveys and reviewing all structural and electrical impacts of the projects. • Design power and structural requirements for all new and upgraded data cabinets. • Be on-call in order to respond to any project occurrences. • Coordinating with LAUSD’s Project Extension Team (PEX) on RFC responses. • Generating complete CAD contract drawings based on LAN/WLAN markups provided by PEX, which will include at a minimum of site and floor plans, Riser Diagram, site specific structural details, mounting reference, OFCI materials worksheet, cabinet scope and elevation sheets, cabinet and antenna mounting details, equipment worksheets, and electrical panel designs and details. • Verification of building codes compliance. • Serving as the Engineer of Record and stamp all construction documents. • Providing assistance for construction administration. Henrikson Owen has a long history with LAUSD and has been involved in providing design, MEP and plumbing engineering, civil and structural engineering, constructability review, design review, code review, change order review, value engineering, and DSA closeout and certification services.